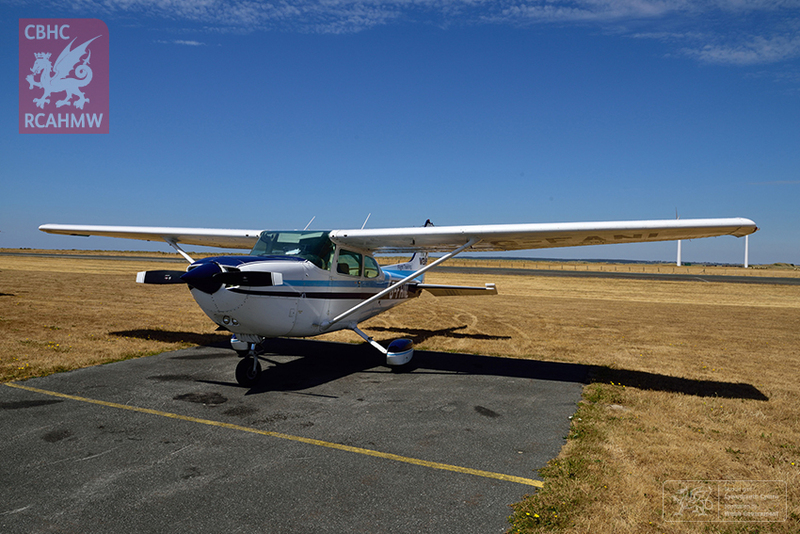 Aerial reconnaissance at the Royal Commission began in 1986. 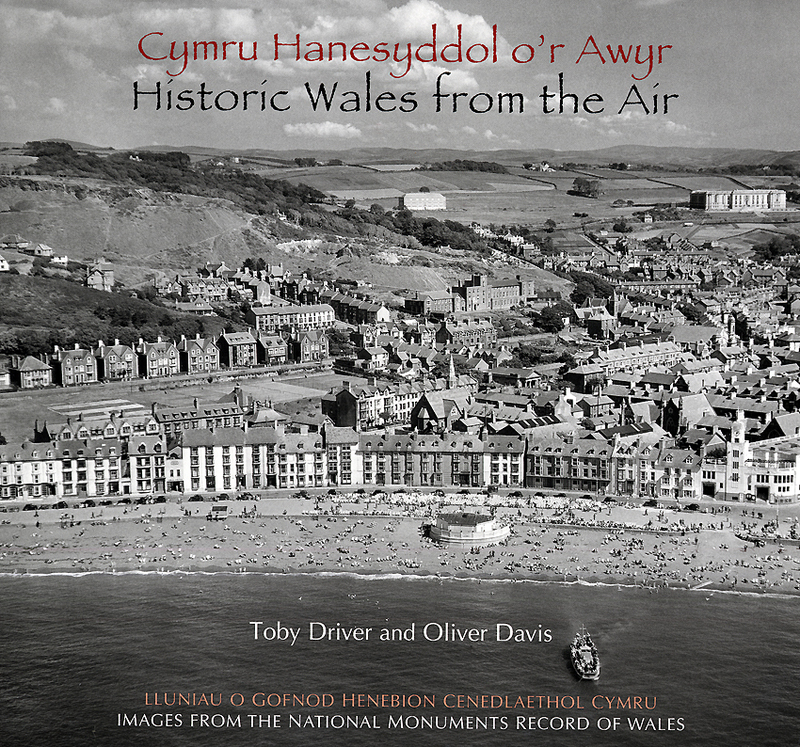 The flying programme aims to document sites, monuments and landscapes illustrative of the people, landscape and history of Wales. 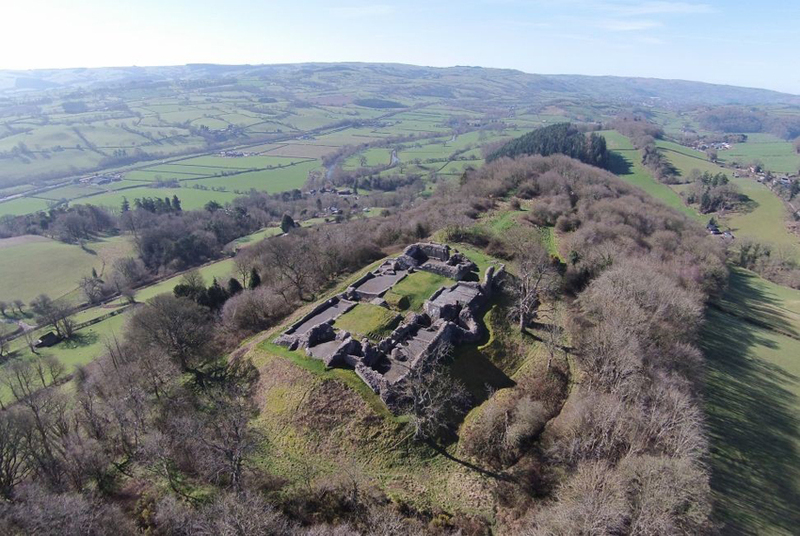 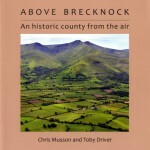 It seeks to discover new monuments, to record known sites and landscapes in a variety of lights and seasons, and also to overfly Scheduled Ancient Monuments for Cadw to document their form and condition for management purposes. 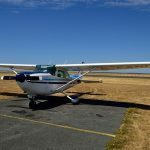 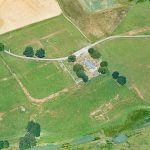 Each year Royal Commission archaeologists discover long-forgotten sites and monuments from the air. 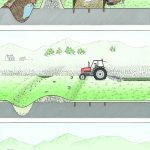 Countless archaeological sites have been lost to agriculture, destruction and erosion in the centuries since they were first built. 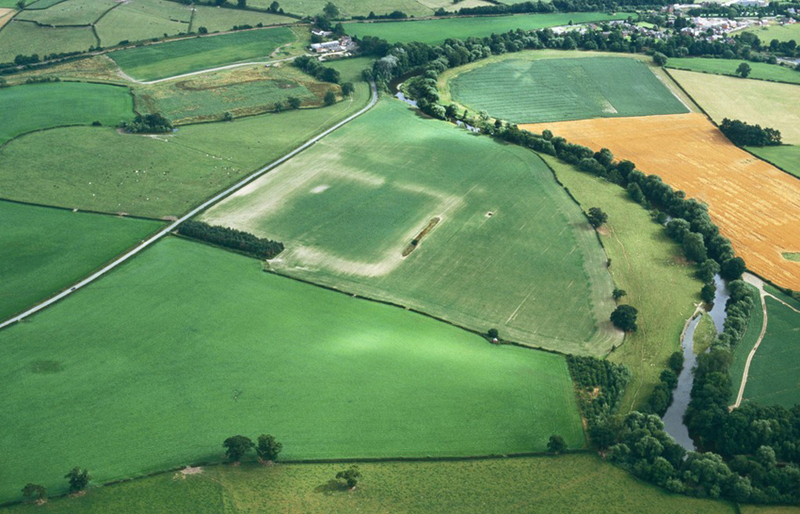 At ground level nothing may remain to show us the position of prehistoric farmsteads or Roman villas, but beneath the topsoil substantial remains may still survive of buried ditches, wall footings and other features. 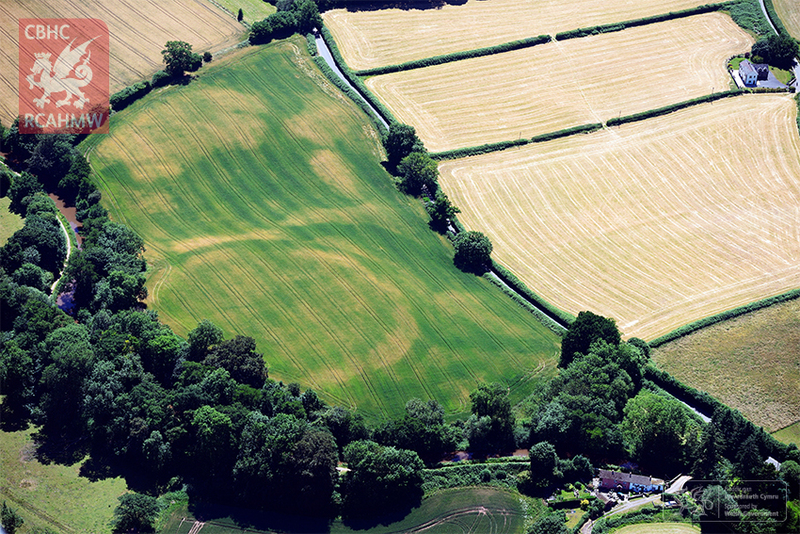 Crops growing on well-drained lowland soils in dry summers can reveal the shapes and positions of these buried remains through cropmarks. 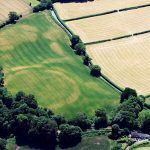 Cropmarks happen when plants growing over buried archaeological features, like old ditches or postholes, grow taller and greener over the more fertile, damp soil in the holes. 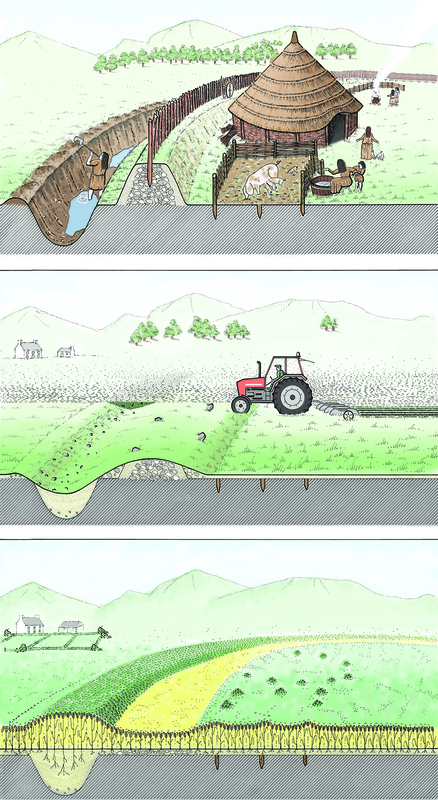 Conversely, those growing over buried stonework and walling quickly ripen and turn yellow in response to the shallow soil and lack of nutrients. 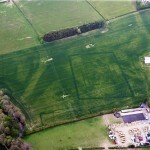 These differences in summer growth, which can appear like an X-ray of the field, are best seen from the air. 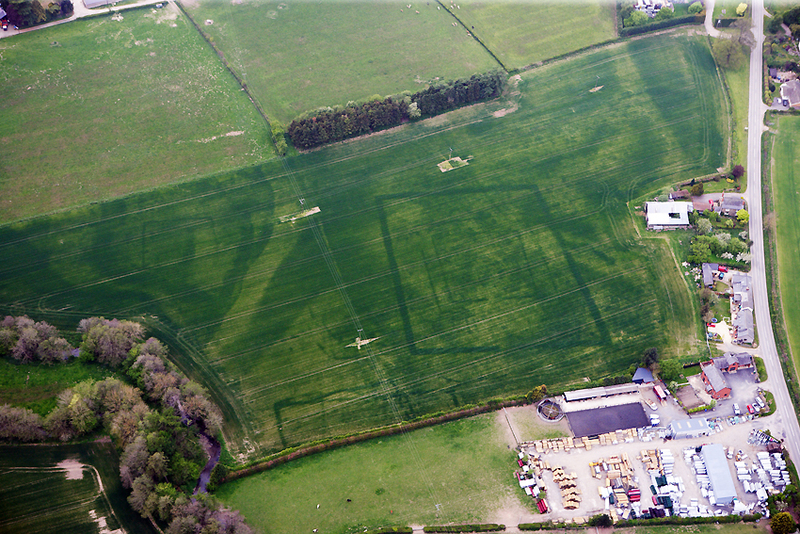 In very dry summers, when conditions are exceptional, many hundreds of new cropmark sites can be discovered in the space of just a few months, showing the fundamental contribution aerial photography can make to understanding the archaeology of Wales. 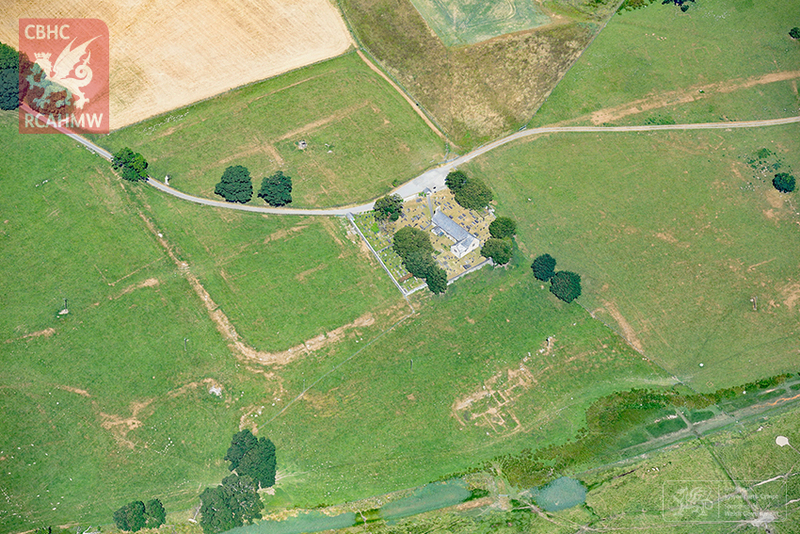 A great many archaeological sites in Wales survive as grass-covered ‘lumps and bumps’. 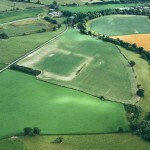 Some earthworks are prominent and well preserved, like some medieval mottes (castle mounds) or Iron Age hillforts. 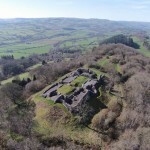 Others are far less well preserved. 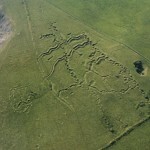 Vestigial earthworks are best photographed under low, raking sunlight to reveal their patterns in light and shadow. 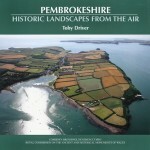 During the summer months late evening shadows can provide ideal conditions, but vegetation can obscure some detail. 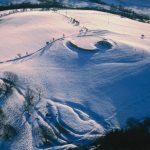 During winter, especially after the first fall of snow, grass and bracken are low and many upland earthworks can be photographed with breathtaking clarity. 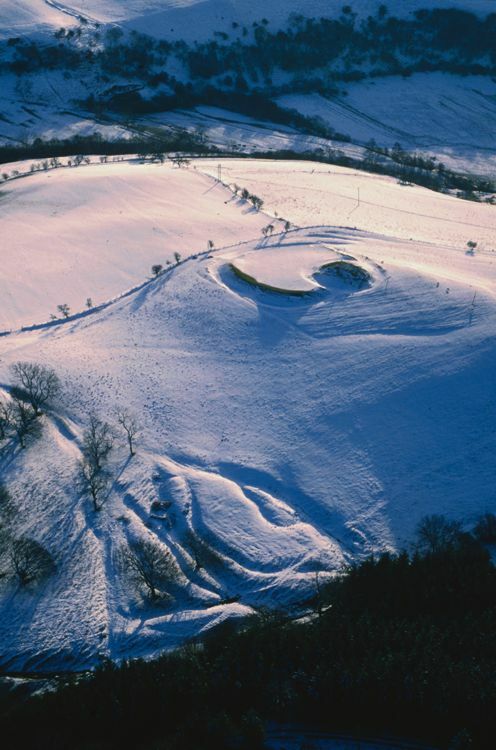 The outlines of very faint earthworks become much clearer from the air if photographed in sharp frost or under a light dusting of wind-blown snow. 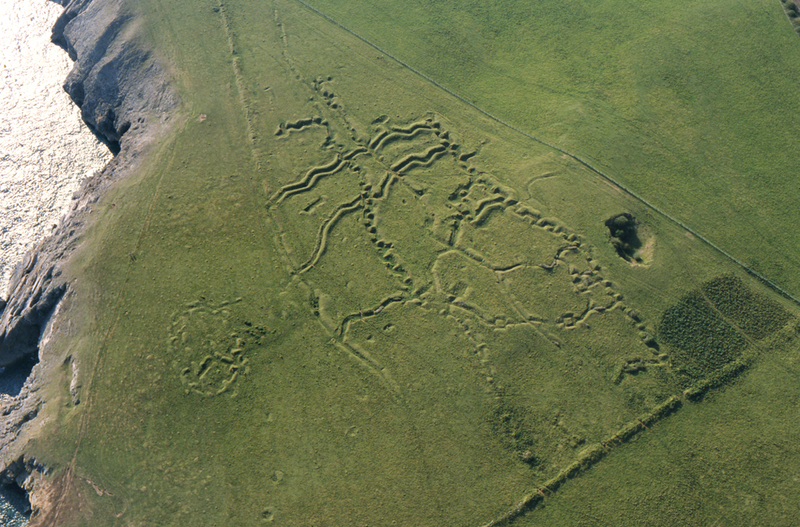 In Wales the amount of new discoveries made during earthwork recording in the hills and mountains is comparable in number to the summer discoveries of cropmarks in lower-lying areas.